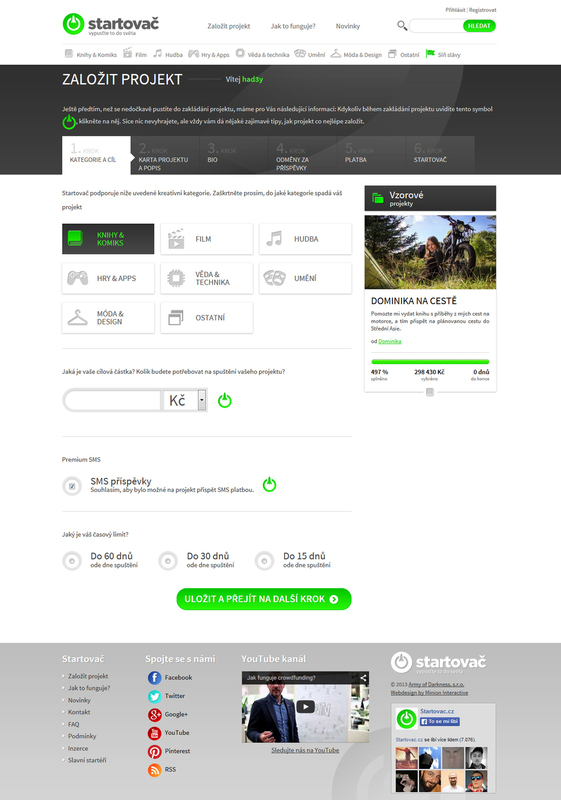 Startovac.cz, a crowdfunding portal for friends as well as all enthusiasts, has been designed for Army of Darkness. The portal's aim is the support of new projects looking for funding. With the portal we have also designed the logotype.